Here is another salad from the 1980’s. 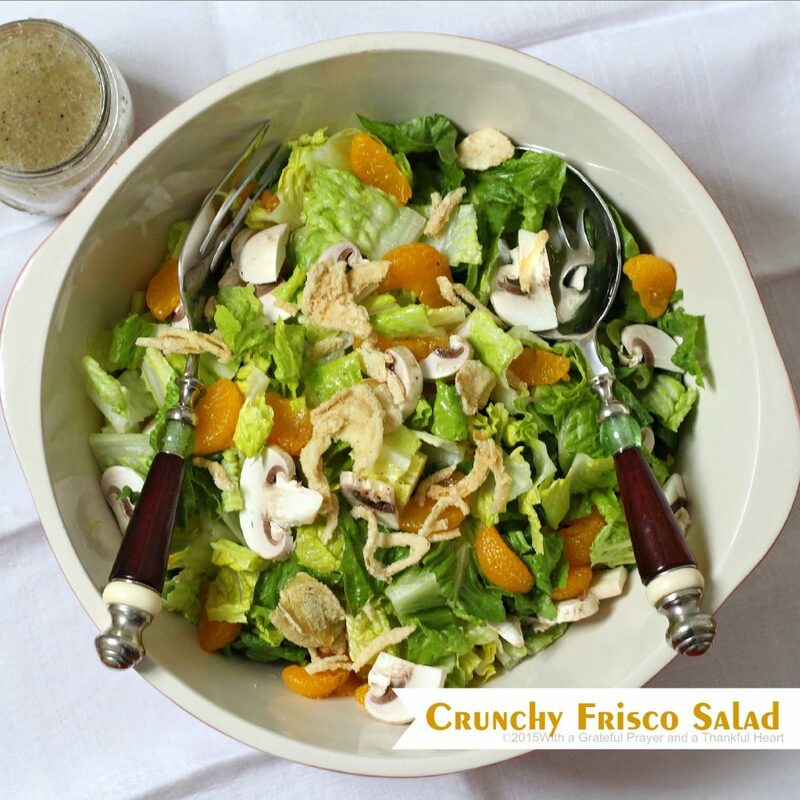 A five-ingredient salad that combines the crunch from the greens and the sweet citrus of the Mandarin oranges along with a sprinkling of sliced mushrooms tossed with Italian dressing and topped with French Fried onions. Toss greens, mushrooms and oranges. Just before serving add fried onions and Italian dressing. Toss gently. I love this salad! Thanks so much for the reminder. I adore Mandarin oranges! Hi there, I loved seeing this recipe(though I couldn't have french fried onion rings)and I posted a salad today as well. May your Friday be blessed with a new appreciation of all He's done for us and your Easter be joyful. Love everything in that and will definitely be trying it. This sounds really yummy! It's on the menu for next week! I would use canned mushrooms instead…… love 'em cooked but don't like them fresh or raw, lol!